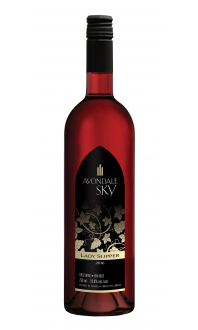 Sorry, Avondale Sky Winery does not ship wine to United States. Made in the traditional style, this wine was fermented on the skins for just a few days, then the fermentation was halted using grape spirit. This wine was aged in old French oak for six months softening the alcohol and allowing for complete integration of fruit, oak, alcohol, and sugar. The nose shows notes of figs, and dried cherry, with hints of dark chocolate, vanilla, and savoury spice. The palate reveals notes fig, blueberry, and cassis, with hints of cherry-brandy and spice. The ripe fruit character mingles with high alcohol, natural sweetness, and subtle oak notes to create a wine with excellent weight, structure, and balance.